Why is a LinkedIn company page so important to your business? Social media networks were originally seen as a place where idle people chitchatted their day away. However, these days, social media networks have become more than a website where people complain about their hair or their pets. Social media networks are setting the stage for useful conversations, and businesses are taking notice. Businesses are taking into account the large number of subscribers and members of social media networks and realizing that these people are also their clients. One of the social networking sites that has emerged to help business people to communicate candidly with their potential clients is LinkedIn. This social networking website is business related and it used mainly for professional networking. Statistics have indicated that LinkedIn has more than one hundred and fifty million users in over two hundred countries. It is available in various languages including English, Japanese, German and Polish. LinkedIn works by helping people to maintain a list of connections which can be great for businesses. Businesses can also post a list of jobs and use the social media network to look for potential employees. LinkedIn is different from other social networking sites because it works on the principle of trust, by only allowing contact through people with a preexistent relationship or through the help of a mutual contact. Any business that would like to become visible on the internet to peers, clients and advertisers should consider having a LinkedIn company page. This is because a page will help you to create connections with people who are interested in what you offer. With such connections, you can easily update them on any news about your business or on new products and services. Google and other search engines respond very pleasantly to LinkedIn, and a business page on this website with a link back to your business website can help to profoundly increase your rankings and domain authority (even if the link is nofollow). LinkedIn is a form of free advertising for your company, and it helps you to communicate the details of your company to individuals who you are sure are interested. Therefore, the marketing strategy is aimed at the target market, because people who use LinkedIn and who are connected to your business are definitely interested in what it has to offer. You should ensure that your business page has a detailed description of your business, with a logo and a banner as well as the location of your business so that people can be able to find you. A LinkedIn company page is also important to your business because this professional networking website can get feeds from other popular social media networks such as twitter. One can update their twitter page or their blog and add feeds from these pages to their LinkedIn page. People as well as search engines love dynamic pages, and feeds from a blog or from twitter will ensure that your company page is always updated. 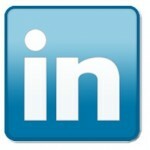 Networking is one of the major advantages that businesses can get from a LinkedIn company page. A business can find associations from the website’s group directory and use it to build connections. You can even import your contacts from your e-mail address book and search to see which of your contacts are members of the site and include them in your network. LinkedIn is also important for a business because it allows people to post testimonials on a company page. Customers who are satisfied with the products or services provided by your website can post recommendations on your business page. Such reviews from users are very important, because potential clients tend to trust the word of mouth from a previous client more than promotional advertising. Recommendations on your company page will be visible to everyone within your network and this will act as free advertising for your business. It is widely known that a large percentage of business opportunities are as a result of networks, and LinkedIn is one of the best places to network. LinkedIn makes it so easy to connect with people who are interested in your services or products. It is also a place where discussions on a product or service can take place, and a business person should take part in as many group discussions as possible. This is so as to let people know more about the products or services that the business offers. Ultimately, LinkedIn can be very instrumental in increasing the number of sales or profit generated by your business.